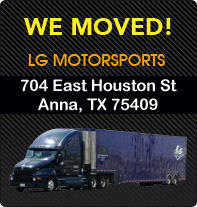 LG Motorsports Inc. can ship your order to almost anywhere in the world. A customs invoice and customer invoice will be included with all international orders. Please allow 2-15 working days (depending on location and freight type) for delivery. Any unopened domestic item can be returned for any reason within 30 days. Upon receipt of the item, we will credit your credit card for the price of the item minus the cost of shipping and a 20% restocking fee. Export product cannot be returned unless it is defective. In the case of a defective product, please contact us for information on obtaining a replacement product. A defective item can only be replaced with the same item. Another item cannot be substituted.